A Disgruntled Republican in Nashville: Is a Democratic “Blue Wave” set to sweep the Tennessee legislature? Is a Democratic “Blue Wave” set to sweep the Tennessee legislature? by Rod Williams - Is a Democratic “Blue Wave” set to sweep the Tennessee legislature? The website Washington Press says so. They point out that in recent years Tennessee Democrats didn’t even bother mounting a challenge in nearly half of the races for open seats. This year however Tennessee Democrats are running candidates in 112 out of the state’s 117 legislative districts. We’re proud, motivated, and excited to have the largest class of Tennessee Democrats stepping up to run for office in recent memory. Tennesseans want a government that works for them, and with current leadership, that’s just not happening. These Democratic candidates are running to put our values into action. They want to stop more rural hospitals from closing, so parents are able to take their child to the hospital if they break an arm. They want everyone to be able to receive an education that fits their vision for the future; they want everyone to be able to find a good-paying job and retire in dignity and security. Now more than ever, we look forward to electing more Democrats who will work to make our state a place where all Tennesseans have the opportunity to create a better life for themselves and their families. A new poll has been released and it's not good news. According to a survey of 600 registered voters, Democrat Gov. Phil Bredesen of Tennessee is leading Republican Rep. Marsha Blackburn by double digits in the race to replace Sen. Bob Corker, who is quitting the Senate later this year. 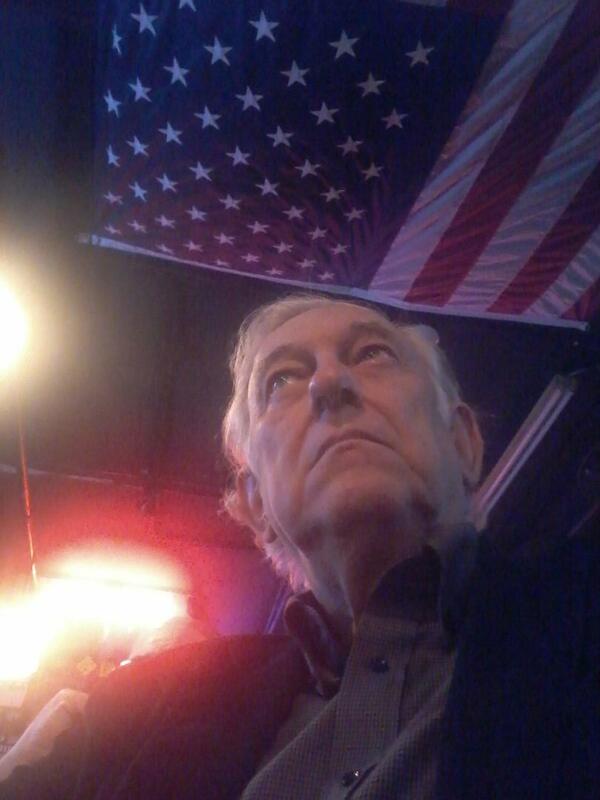 The poll found that 45% of voters surveyed favored Bredesen, while 35% said they would back Blackburn. Another 17% are undecided. Even if you don't live in Tennessee, the outcome of this Senate race will impact you. Arguably, this Senate race is the most critical in the nation. Democrats are focusing their resources on this race because they know... this seat will determine whether or not they take back the Senate. 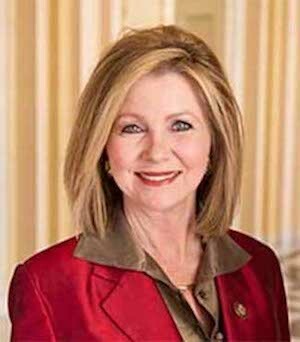 Rep. Marsha Blackburn has always been one of the strongest voices in support of President Trump. She's a rock-solid conservative who supports the President AND knows how to get things done in Washington. For the record, I have contributed to the Blackburn campaign and will be voting for her. I am not sure however, that my modest contribution will turn the tide. I don't think this race is about who has the biggest war chest or spends the most money. Tennessee is not the only Republican state that may flip to the Democrat column this year. Democrats have been winning races they shouldn't. Alabama, in my view, was not a bellewether of the coming wave. Moore was a seriously flawed candidate but there are other races Republicans should have won, but lost, In Ohio and Wisconsin Republicans lost seats they should have won. That does not bode well. When Donald Trump won the presidency I was shocked. I believed the polls. Of course the polls were right in that Hillary did win the popular vote. Pundits and pollsters however not only predicted Clinton would win the popular vote but that she would be elected president. Could the polls be wrong again? It is possible but unlikely. The polls not only show a Democrat edge but a wave of between 7 and 15 point advantage for the Democrats. Of course, a lot could happen between now and November. Unfortunately, I do not expect things that could happen to actually improve Republican chances. I doubt Trump is going to stop tweeting and doing dumb stuff. I don't think Trump will change his temperament and character between now and then. Also, between now and then there is the potential for more bad news. The Mueller investigation may drip more incriminating evidence or even reach a conclusion of wrong doing. Stormy Daniels will be in the news for more months. By November we may be feeling the effects of the looming trade war with China and the economy may be worse than it is today. Tensions with Korea could be even worse. The DACA issue may not be resolved and stories of Americanized Mexican youth living in fear or being deported may be a regular news item. Also, I predict that either Kelly, Sessions, Kudlow, or John Bolton will be gone. It looks like Trump is prepared to pull out of Syria and hand it over to Russia and Iran. I am sure that is not Bolton's advice. I will be surprised if Bolton makes it six months. Trump's inability to settle on a cabinet may please some of his base who for some reason seem to like chaos but I think most of the public would like to see some stability and boring presidential normalcy. Mid-term elections are often a referendum on the president and Trump is just not popular. Trump's current approval rating is a dismal 39%. Since the public can't vote against the president in November, they will vote against Republicans. With the economy booming and unemployment at almost record lows Trump's poll numbers should be positive. Usually, "it's the economy stupid," but not this year. Except for the die-hard base, people do just not like Trump. Continued economic growth may make Americans feel more confident and content by November, but I doubt it. Unemployment at 4% can't get much lower and if Trump gets his trade war, we may see those unemployment numbers going the other direction. If the Blue wave is as big as expected, Democrats may not only take the House, but possibly the Senate. Unfortunately, a wave election may be felt all the way down to the level of governorships, state houses, and in city council and school board races across America. I don't want it to happen. I am financially contributing to Republican candidates and I am, of course, going to vote Republican. However, in a certain sense, I feel we need to lose. By electing Donald Trump we abandoned conservatism and elected a showboating, unprincipled, crude, intemperate, populist. And, Republican can't govern. After talking about repealing Obamacare for years, Republicans couldn't do it. Under the Obama administration the national debt rose from $10 trillion to $19 trillion. Republicans condemned reckless spending and raged. Now, after a little over a year of Trump the debt has hit $21 trillion and even without a trade war it is estimated to grow by $2.1 trillion a year. That is not good news. That is not sustainable. There will be a day of reckoning. I don't think Democrats would do much worse. I do not think everything Trump has done is wrong. I am pleased with the Gorsuch pick and other judicial appointments. I am delighted at the massive cuts to regulation and I am pleased with the tax cuts. I am pleased that Trump is finally standing up to Korea although Trump's recklessness in calling the leader of North Korea "little rocket man," and bragging about who has the biggest nuclear button concern me. If Republicans do lose in November, life will go on. For Republicans there will be a period of soul searching and recrimination and reorganizing. If Republican loses are big in November, I do not expect Trump to win renomination without a serious primary challenge in 2020. I actually think Trump will be a one-term president, but what do I know; I didn't think he would win in 2016. I still think Republicans should be the party of conservatism. I think America would again vote for a Ronald Reagan. We do have challenges, of course. Many young people have a favorable view of socialism and American demographics have changed. However, many people after the Nixon scandal and the left wing radicalism of the late 60's thought society and culture and politics had changed forever, yet a few short years later we had the Reagan revolution. Following the blue wave of 2018, if it happens, Republicans need to return to Republican conservative values. As a former Republican, and what used to be called a Conservative, I am toying with voting for Bredesen. He was a moderate Dem as governor, killed Tenncare, and helped get our state budget under control. It is a protest vote as much as anything, but a part of me thinks we need a few sane Dems to try and bridge our divides more than we need another obsequious Rep in the Senate. How much has he has gotten on board with the progressive identity-politics left? If he stays away from that and can be pro-gun, he might have my vote.